Nevada Gov. 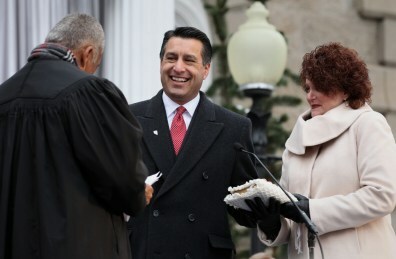 Brian Sandoval takes the oath of office from state Supreme Court Chief Justice Michael Douglas Monday in Carson City. First Lady Kathleen Sandoval is at right.